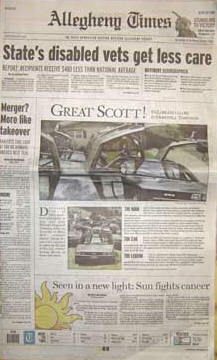 DeLorean owners in the Pittsburgh area are always getting together to help each other repair and restore our cars. 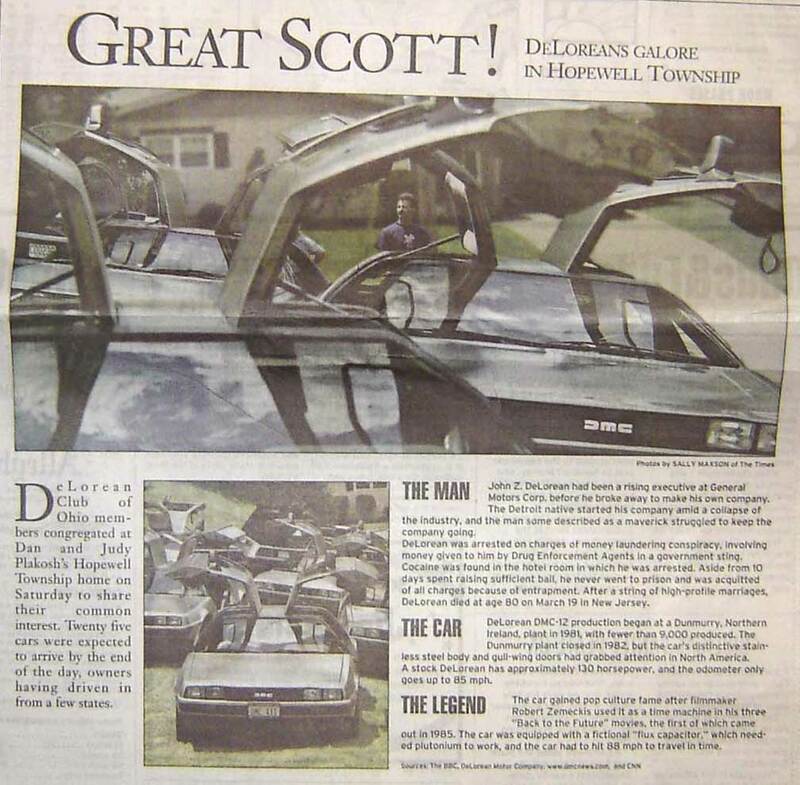 In the spirit of sharing our experience with others, we have organized into a club devoted to helping other DMC owners - The Pittsburgh Area DeLorean Maintenance Club. Our famous "Tech Sessions", where maintenance ranging from the smallest upgrades to complete engine swaps, occur yearly during the warmer months. We're a very loosely organized group -- no dues, no newsletter, no officers, & no hassles. All you have to do to join is simply attend one of our events. We look forward to meeting you soon! 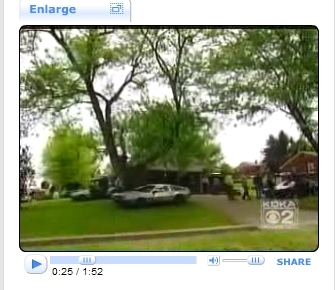 PADMC on KDKA-TV! PADMC on KDKA-TV! The PADMC is front page news in Pittsburgh! See more pictures of the May 21 tech session here.